Gorzów Wielkopolski 28.09-02-10.2011, pokaz konkursowy. 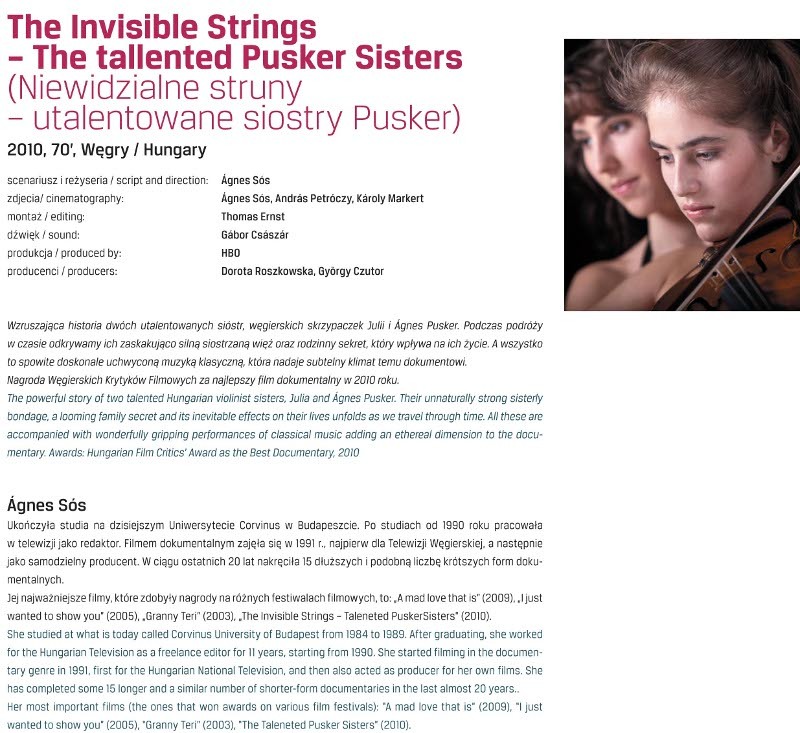 The Association of Hungarian Journalists Film and Television Critics Section awarded the Film Critics Award of 2010 to Invisible strings - the talented Pusker sisters, directed by Ages Sós. 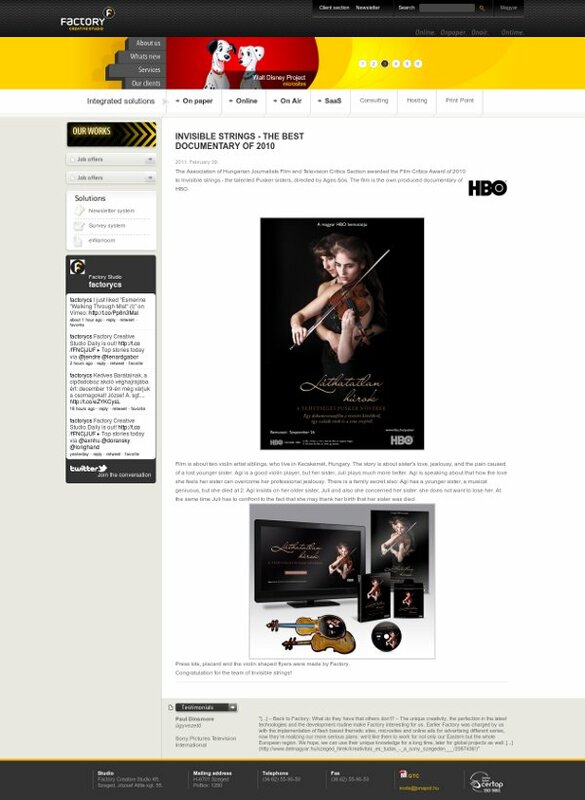 The film is the own produced documentary of HBO.